A criminal appeal attorney can help reverse a wrongful conviction. An experienced criminal appeal attorney at our firm can help you or a loved one reverse a criminal conviction that was not supported by sufficient evidence, or that was obtained as a result of ineffective assistance of counsel or other legal and constitutional errors. We have won criminal appeals in the Georgia Court of Appeals, the Supreme Court of Georgia, and the United States Supreme Court. We have also helped our clients modify and reduce unjust sentences through out-of-time appeals, habeas corpus petitions, and motions for sentence modification. 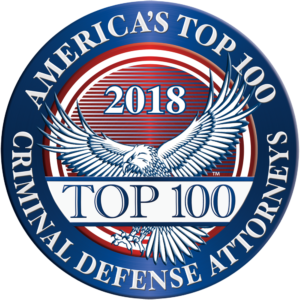 Our criminal appeal attorneys have won criminal appeals for clients convicted of many different crimes in Georgia. We have also helped our clients with criminal appeals in many federal circuit courts, including the Eleventh Circuit (the court is less than a block from our office), the Fifth Circuit, the Seventh Circuit, and the Fourth Circuit. We have filed many petitions for certiorari with the United States Supreme Court, and were successful in one petition that helped reverse our client’s unjust sentence in a federal drug case. Watch our video and see how an appeals attorney at our firm can successfully challenge a conviction in a Georgia criminal case. Read more about our firm’s success with criminal appeals. The way a criminal case is appealed depends on where the case was initially brought. If the case was brought in a Georgia state or superior court, then the case will proceed to the Georgia Court of Appeals or the Supreme Court of Georgia depending upon the offense that was charged. If the case was initially brought in federal court, then the case will be appealed to the federal court of appeals for that particular circuit. State cases can sometimes end up in federal court on appeal (in habeas proceedings), but federal cases are never appealed to state appellate courts. In a rare case, the federal courts will occasionally ask a state appellate for guidance on some particular question of state law. Many people think that an appeal is an opportunity to re-argue the facts of the case, or show evidence that was not presented at the first trial. Appellate courts, however, cannot usually consider that type of evidence. Appellate courts generally only consider legal issues – mistakes made by the judge and/or the lawyers during the first trial. Those errors can include improperly admitting or restricting evidence at trial, improper arguments made by the lawyers, incorrect jury instructions given by the judge at the conclusion of the trial, and issues relating to the effectiveness of a defendant’s lawyer. Because the appellate courts do not generally consider “new evidence,” an effective appeal attorney generally prefers to file a motion for new trial in the trial court before the case is appealed to one of the appellate courts. In many cases, that will give us an opportunity to present evidence that was not presented the first time, and try to get the trial judge to correct any errors that were made during the first trial that led to the conviction. If the motion for new trial is denied, then we may appeal the case to the next higher court. People often ask if it is better to have a new lawyer handle the appeal. Regardless of how effective the trial lawyer was, it is often very helpful to have an experienced criminal appeal attorney review the case to try to spot issues that the first lawyer may have missed. More importantly, if there are any issues that relate to the effectiveness of the trial lawyer, then a new lawyer must be retained on appeal or those issues cannot be raised in the appellate courts. If you need an experienced criminal appeals attorney, contact our office to discuss your case with one of our top appeals lawyers.